This beautiful clock plaque has a genuine American walnut board with a natural finish. 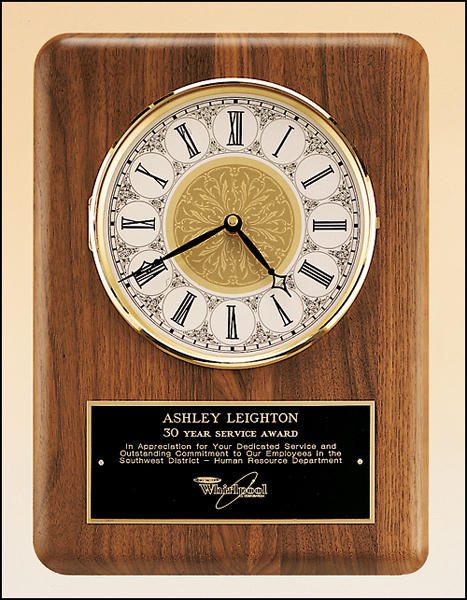 Clock face features a solid brass diamond-spun bezel with glass lens, ivory dial and two hand movement. All Airflyte clocks have a lifetime guaranteed quartz movement. Black brass engraving plate. Individually gift boxed. Battery included. Overall size 11"x15".